Who’s ready for summer? See this girl, raising her hand right here? Yeah. I’m over being cold, I’m over taking a hot water bottle to bed like I’m 90, and I am definitely over looking at the chance of snow for the day. Sure, I’m a whiner, I’ll fully admit it. Some could say that NJ hasn’t had nearly the hard winter we thought we would. But personally, I starting counting winter when we have the first freezing temps and snow, and that was way back in October, when we had no power from Superstorm Sandy. So yeah.. Winter? I’m over you! I’m trying to chase away the winter blues by reliving one of our favorite trips in the past couple of years, to the Florida Keys. We had SUCH a blast driving from Boca Raton to Key West, and I can’t remember anything quite so relaxing as wandering along the beach, a few chickens running around (yes, wild chickens! 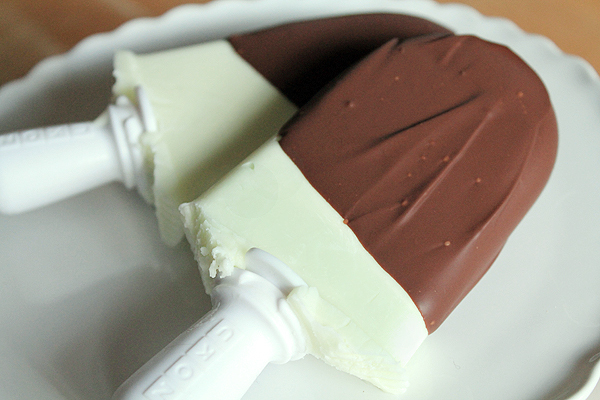 ), sharing a frozen Key Lime Pie on a stick. It was covered in a dark chocolate shell, and so perfectly refreshing on that hot day that it lives fresh in my memory nearly two years later. Normally, I’m very much anti-chocolate-and-citrus, but there is something magical about the combination of lime and dark chocolate. When yet another day of sub-freezing temperatures has me at my wit’s end, I decided it was time for magic. Magic and Key Lime Pie. Only, there’s no room in my fridge for a whole pie, because I’ve got soups and stews taking up that real estate. 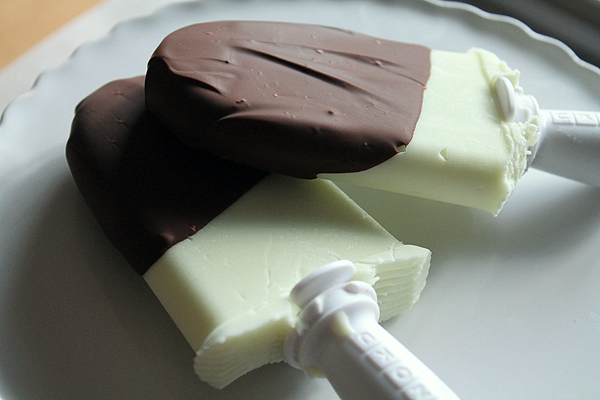 I present to you my solution for winter doldrums and lack of fridge space: Key Lime Pie Yogurt Pops, covered in Dark Chocolate Magic Shell. They’re creamy, they’re bright and full of lime, and they come together in mere minutes. If you’re craving warmer climates, beach strolling, and the matching afternoon snacks, let these Key Lime Pie Yogurt Pops take you away to where palm trees sway and chickens roam free in the streets. Measure 1/4 cup heavy whipping cream into a large measuring jug (mine was 2 cups). Add the contents of both pots of yogurt. Whisk together until well mixed, then add sugar and lime juice and mix again until sugar is fully dissolved, about 3 minutes. 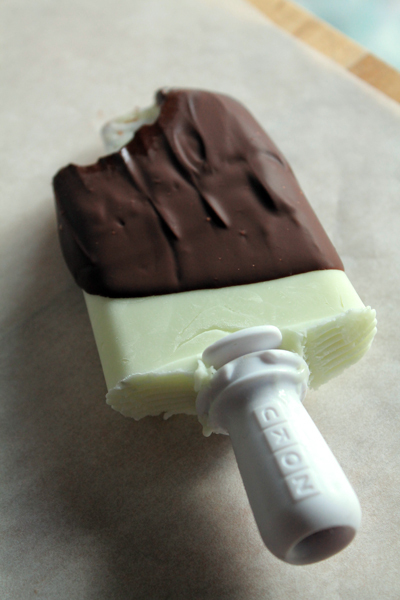 Pour Key Lime mixture into Zoku or any popsicle molds. Place in the freezer until frozen solid. About 10 minutes for the Zoku, about 2 hours for any other mold or dixie cup. When the pops are fully frozen and you’re ready to eat them, make the magic shell. Place 1/2 cup semi-sweet or dark chocolate chips in a microwave safe bowl and microwave 30 seconds at a time until the chocolate melts completely when stirred with a spoon. Remove from the microwave and add the teaspoon of oil, mixing it in completely with the chocolate. Allow to cool just slightly, then dip each pop into the chocolate. Set aside on wax paper to allow to harden. 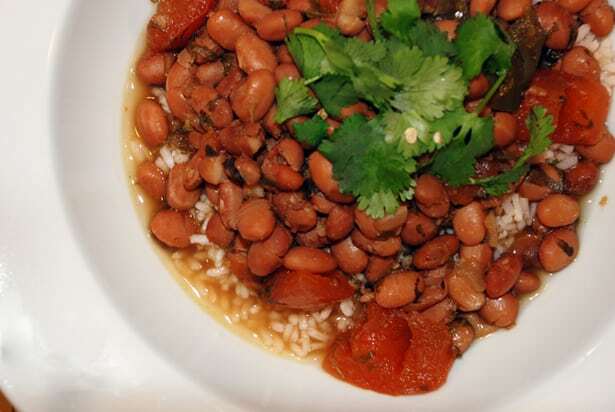 Eat immediately and think of the Florida sunshine! These look awesome Amber. I love KIWI and summer 🙂 So ready for warm weather. Maybe if I make these it will come sooner??? I am SO ready for summer! And, I love lime, and chocolate, but have never thought of trying them together. Sounds super yummy! Thanks for the sunshine! I just finished a bowl of lemon ice cream, so we’re totally on the same page. Can we will Spring to come? I’m not normally a fan of chocolate and fruit, either – but if you’re giving this two thumbs up, then I’ve gotta try! YES!! I am SO over winter. Enough is enough. These popsicles sound like they’re a welcome little dose of summer. I actually got a zoku maker for Christmas and (gasp!) have yet to use it. But now I have the perfect recipe to try it out! I loooove key lime and I’m also firmly in the citrus-and-chocolate-together camp so this is perfection. totally amazing. I need need need to try this at home! Shelly, I very nearly added graham cracker crumbs on top of the magic shell, until I realized I didn’t have any graham crackers. You should totally add that if you try it. Are you serious with this right now? Ah mah gah…amazing. I want five!! Yup, I’m totally ready for summer. I’m so bored with being cold all the time. These sound totally, totally perfect. Me too, Kathryn. Half the time, James accuses me of being clinically dead. And the other day, my touch screen didn’t recognize my touch – my fingers were that cold! This is getting out of control. Ohhh Ahhh. reminds me of the ones I made last year!!!! Love me some frozen key lime pie on a stick! One of the greatest snacks ever, Leslie! These are amazing! My mouth is watering for them. I’m looking forward to Spring but I’m dreading my A/C bill come summer! So over winter, I’ve skied I’ve sled, I’m good for spring to show up, these look delicious! Yum and yes please, I am also so over winter (as I sit here typing this with my corn bag under the blankets with me)! And I love love love that these use key lime yogurt – one of my favorite yogurt flavors! I hear Chobani just came out with Key Lime Pie too. I haven’t found it yet, but I’m totally going to make these again with it when I do! gah these look and sound amazing. I’ll be heading down to the Keys in April for my birthday… love it there! Color me jealous, Katie. The Keys are one of my favorite places on the planet!